Our company has expertise with both vacation and seasonal rentals, which are close cousins but can be very different beasts. We understand the difference and navigate accordingly. The process of renting property can sometimes be complicated, but we handle every aspect on behalf of our clients. Rentals less than 30-days. Fully-furnished. Demand for vacation rentals is 10+ months per year. Limited supply on the market. Demand for these vacation rentals is skyrocketing because they’re a great alternative to hotels for travelers of all ages from all over the world. Average stay is 6 – 7 nights. Utilities and maintenance are paid by the owner, but revenue far outweighs that cost. Vacation rentals are subject to sales and tourist tax. Proper registration of the unit is essential for protecting owner/property manager rights. 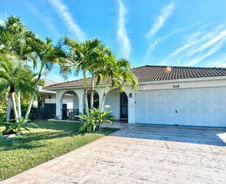 Naples Florida Vacation Homes will take care of the details for you. Rentals of 30 days or longer. Fully-furnished. Demand for seasonal rentals is 3 – 4 months per year. Competitive supply on the market. It’s easy to rent your home during peak demand in February, and customers are mostly snowbirds. However, there’s virtually no demand in July, and if you’re not careful, your rental could very well be left sitting empty for most of the rest of the year. A complete understanding of the dynamics of supply and demand for seasonal rentals is vital! Utilities and maintenance are paid by the owner. All rentals less than 180 days are subject to sales and tourist tax, and we handle all of that on the owner’s behalf. 30-day or longer lengths of stay are governed by the Division of Real Estate (Section 475 of Fla. State Statutes). Year-round contract. Usually unfurnished. Demand, as well as rates, are low relative to the value of real estate in our market. Utilities and maintenance typically are paid by the renter. If a tenant fails to pay the water or other utility bill, the payment and late fees fall to the owner. Non-taxable, provided the rental is 181 days or greater. If a guest fails to leave or pay, formal eviction processes are required by law. In our experience, annual rentals take the greatest beating. The wear and tear tends to be more extensive by far than short-term rentals. Of course, rates for short-term vacation rentals are higher, with regular expected expenses such as utilities. Therefore, short-term vacation rates are far more profitable to the owner than seasonal or annual rentals. 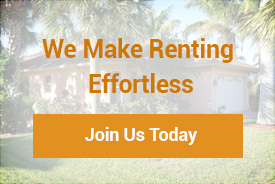 Renting by the week or night increases demand, overall revenue, and the ability to generate rental income year-round. 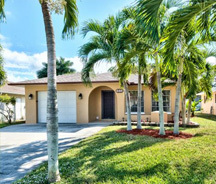 The demand for seasonal (30-day+) rentals is limited to the peak season months of January – March. Sometimes we are fortunate to find a seasonal client to rent during the fringe months of December or April. When opening up your property to seasonal rentals, you can expect income for only three or possibly four months of the year. Unfortunately, very few people are looking to rent only for “the month of July.” The growth in demand has shifted to vacation rentals, and it’s growing rapidly. An owner can expect revenues 10 – 12 months of the year renting by the night or week. September and early December used to be very slow months, but that’s been changing in recent years. Of course, rental rates for peak season are much more substantial than low season rates. Low season attracts many shorter reservations and keeps that cash flow healthy. If you have the flexibility to rent your property for less than 30 days a month, we strongly encourage you to let our pricing policies and the needs of the guests determine the length of stay. Remember, the shorter the stay, the greater the income. Is it legal to rent? Aren’t there restrictions? As the industry evolves at record pace, there is controversy in many communities throughout the country. If you’ve read any news articles about AirBnB, you have an idea of what we’re talking about. Some homeowners and local governmental authorities challenge that you, the homeowner, should not be able to rent your home for such short periods of time to vacationers. In fact, there has been much debate on the floor of the Florida legislature in recent years on this topic. City of Naples – any property which falls within the city limits has a 30-day minimum rental restriction. There are very few exceptions to this. 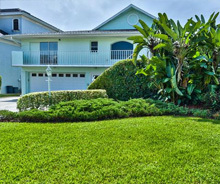 Many homeowner associations (HOAs) throughout Naples also have restrictions (i.e. 30- or 90-day minimums with a limitation on the maximum number of leases allowed per year). Unincorporated Naples and Collier County – less than 30-day rentals are permitted unless subject to individual HOA restrictions. It is essential to be informed of the ordinances or HOA rules governing your property.